LEGO has returned to the Wizarding World for 2018, producing two sets based upon Fantastic Beasts and Where to Find Them along with five from the Harry Potter movies. 75950 Aragog's Lair is the cheapest of these, costing £12.99 or $14.99, but contains 157 pieces which is more than 75951 Grindelwald's Escape. This set therefore seems to offer brilliant value and the two minifigures are appealing, only otherwise appearing in 75955 Hogwarts Express. Furthermore, a new version of Aragog is included and he looks magnificent, as indeed do the smaller spiders which have not been moulded in black or medium nougat before. 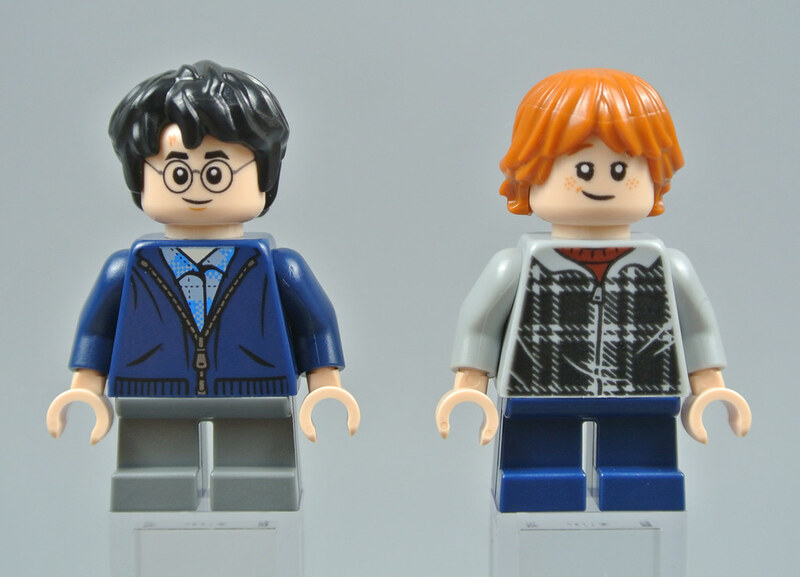 Several different versions of Harry Potter are available across the Wizarding World range, some of whom wear Hogwarts uniform while others are dressed in casual clothes. 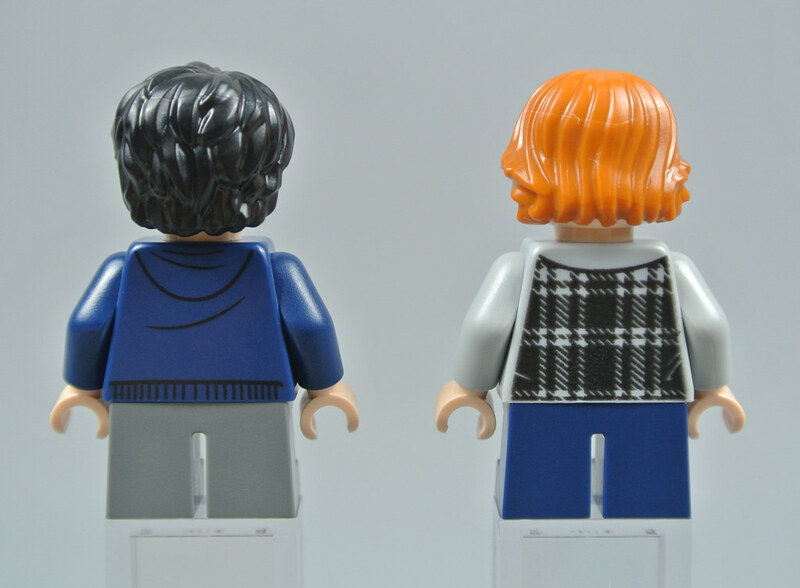 This figure features a dark blue hooded jumper over a pale blue shirt that matches the source material exactly and I love the new tousled hair piece which has been designed for this minifigure. Harry's double-sided head is great too, with a smile on one side and an appropriate frightened expression on the other! Ron Weasley also includes a scared expression along with a lovely smile and some freckles. His plaid jacket looks good when compared with the movie and I think the designer has chosen a suitable hair piece for Ron, although his hair in the film is slightly shorter than it is here. These minifigures are also available in 75955 Hogwarts Express which is a shame as exclusive figures are always nice, although that is only a minor issue in my opinion. The two friends come with a range of accessories, including dark brown and reddish brown wands, a pearl dark grey lantern and a candle. This candle consists of a new cylindrical piece with a short bar at one end and a hole at the other, into which a flame is plugged. Hopefully these will soon be available in colours other than white as I think they could be very useful. The flame is also new and features the same tiny peg as the existing component. Numerous magical creatures are found in the Forbidden Forest, including a colony of lethal Acromantulas. 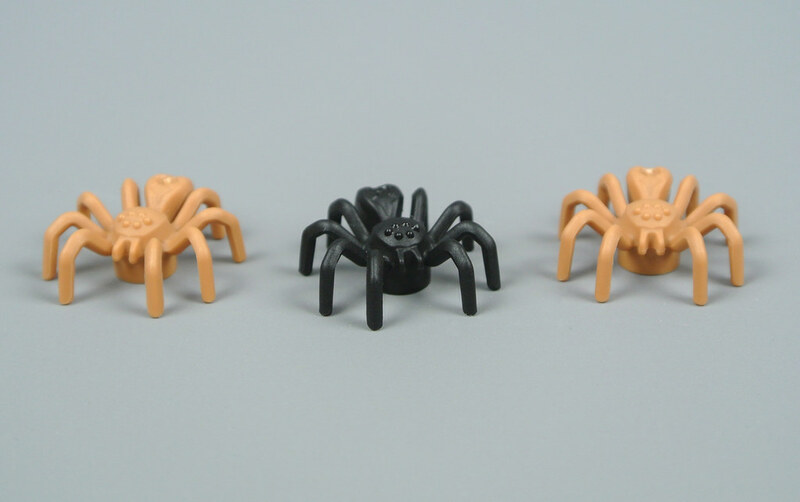 These are represented by the spiders that were introduced with the 2017 Jungle subtheme and their large size in relation to minifigures is ideal for an Acromantula. They are moulded with a detailed row of eyes alongside twin fangs, known as chelicerae. Both black and medium nougat are new colours for these spiders. Two previous renditions of Aragog have been produced, for 2002's 4727 Aragog in the Dark Forest and 4738 Hagrid's Hut from 2010. This model is slightly smaller than its predecessors, measuring 11cm in length and width, but is more detailed and appears closer in design to its onscreen counterpart. Dark and reddish brown is definitely a suitable colour scheme and the few black pieces work well too, although I would rather the attachment points for the legs had been cast in a shade of brown. Aragog's head is ingeniously constructed in two sections. 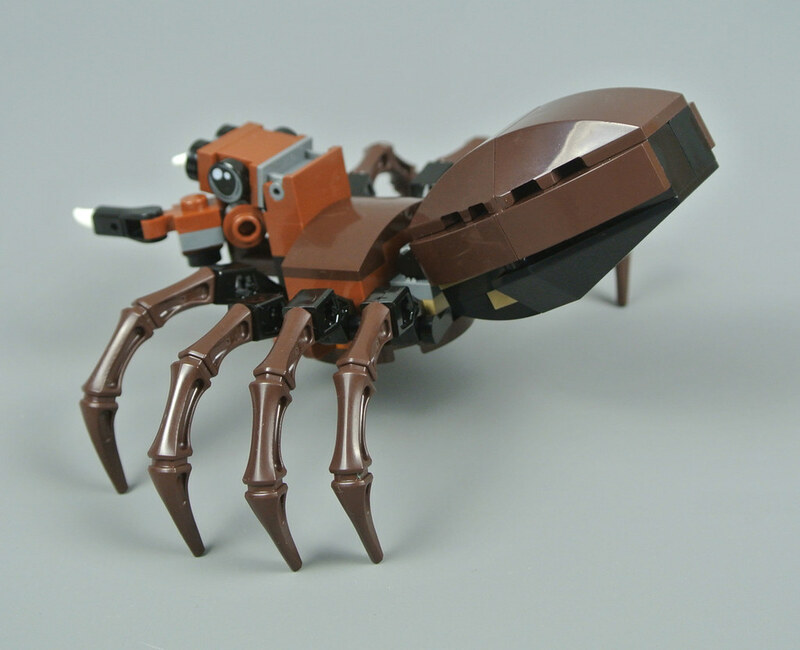 A reddish brown hub with four bars forms the centre of the bottom half, to which the chelicerae are attached, while the top half is fitted using a hinge. The creature's eyes are represented by a brand new printed 1x1 round tile which looks fantastic and I like the articulated appendages around Aragog's jaws as well. The legs are individually articulated as well, featuring hinges at the connection points with the body and a rotation joint towards the centre of each leg. 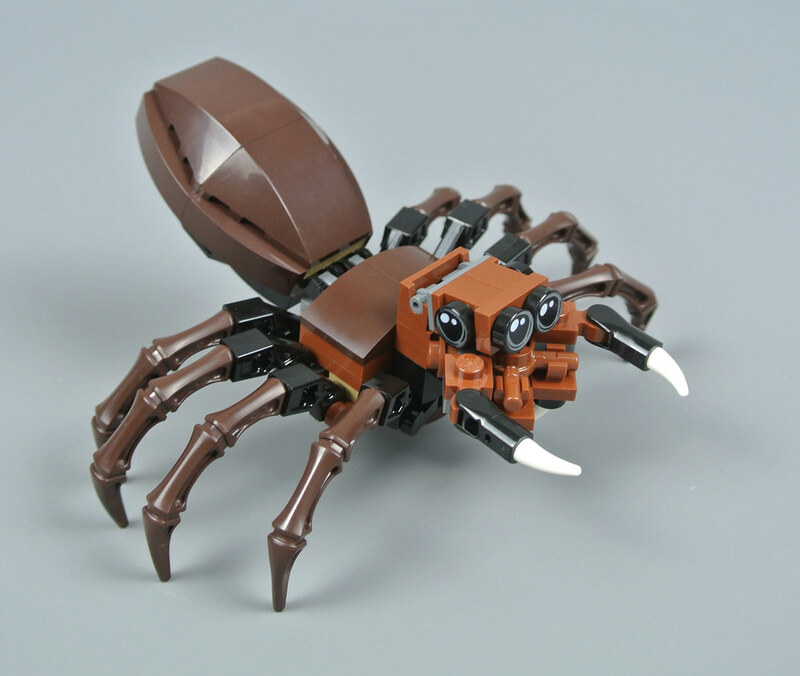 In addition, you can spread the legs further apart or bring them closer together as six of the eight hinges inside Aragog's body are able to rotate a short distance. The Acromantula's bulbous abdomen can also move up and down, allowing you to create plenty of realistic poses. A small piece of Forbidden Forest scenery completes the set. This tree is relatively simple but includes some lovely details, perhaps the most impressive of which is the medium nougat spider hanging from a thread of web. I like the large web on the side of the tree too and sparse foliage gives the impression of age. A printed 2x2 dish depicts additional webbing at the base of the tree and this can actually be launched as a flick-fire missile! I am very satisfied with this little set. Aragog looks more impressive than ever before, due in no small part to his brand new printed eyes, while the smaller spiders are moulded in black and medium nougat for the first time and look equally good. Furthermore, the associated scenery definitely captures the atmosphere of the Forbidden Forest and includes a discrete function which is always very welcome. The absence of any exclusive minifigures is somewhat disappointing, although that is more attributable to 75955 Hogwarts Express than to this little set. Harry and Ron are accurately dressed for their journey into the forest and I am pleased to see the new candle and lantern accessories in such a small set. While 75950 Aragog's Lair might not be as appealing as some of the larger Wizarding World sets from this wave, it is still a worthy purchase in my opinion. This set finally shipped to me yesterday. I think the candle piece looks like a "miss" token from Battleship. I just wanted to say I love this set. I WANTED TO BUY 2 OF THEM but for some reason it cost almost 25 dolars. This is so being acquired by August to complement my Savage Land MOC while both Harry and Ron will be students at Doctor Strange academy, shame that no Fangs is included (the dog that goes with them). I'm not a Harry Potter fan, yet somehow this little set appeals to me, if simply for the spiders. Shows good design by the lego team if I want to pick it up. Would not have surprised me if Lego charged £19.99 for this set. 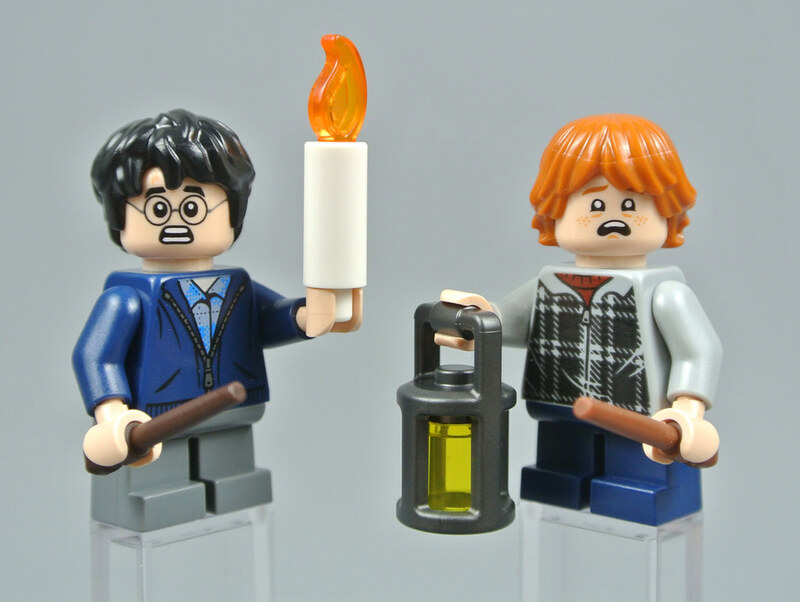 Not that interested in the set even though I love HP but I'm glad Lego isn't continuing to way overprice licenced sets. Meh...I’m happy enough with the Aragog that came with the 2010 set. Non-exclusive minifigs mean this is likely a pass, since I’m definitely getting the new Hogwarts Express. Cute set, id definitely buy it as well.. I was in awe while assembling Aragog’s head; not only is it ingeniously constructed, to me it looks exactly like the movie counterpart’s! Brilliant! BURN’EM ALL! BURN’EM WITH FIRE! roast’em with some rightous burnination! And do it before they lay eggs! Either option would be a proper response to a spider the size of a toolshed. Anywho, i think it’s obvious that this just might be one the few HP sets that i’ll buy and not immediately part out. I finished putting together the Great Hall today! I'm STOKED. Great little set, just built it after grabbing it from Target. The overall color scheme and design is excellent, which looks consistent with all of the new HP sets. Nice little set. I agree with @Lordmoral - it's a shame Fang is missing! I probably get it for Aragog's pieces. 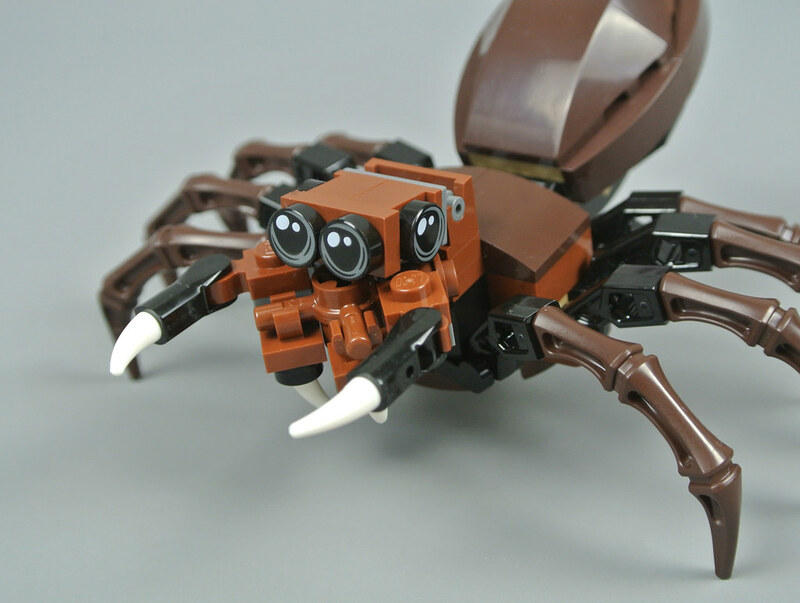 I really love the build for Aragog's face. This set would've been perfect if it weren't for those bright green leaves which clash against the rest of the scenery. I love the spider but I've always felt like the older Aragog captured his enormous scale better. I'd probably buy two of these as fellow giant spiders. I agree with @Judgeguy, I feel they easily could have put this one at the $20 price range, seeing as how they sometimes oddly price other licensed sets (looking at you 75199). I'm rather surprised it ended up at $15, and I feel it is definitely worth it. I picked one up at Target but haven't built it yet. Still waiting on my Great Hall and Whomping Willow that are on backorder! All in all I love this new Harry Potter wave! The spiders look so realistic XD. Windflower: do the same as me: order it from amazon when it will get at least a 20% discount. From .de the shipping cost is low. From co.uk it's higher, but discounts are better and more frequent. Wow, I'd forgotten how bad the previous Aragog models were, especially since Shelob raised the bar as far as spider sets go. Although I don't need the figs, the candle and lantern make an exciting addition, and I wasn't expecting it to be $15 USD either. Has lego run out of the printed mushroom caps? Think that would look better here. Aragog build reminds me of a jumping spider - those little guys are so totally cool the way they move in bursts and will turn and face right at you if you lean in for a good look. Even though I'm not into HP/FB, I'll be picking up this set for the spiders, scenery and parts. Agree with @darkstonegrey that the mushroom's cap should have been printed. It's shame this set is coming out in the UK after the banana man promotion has ended. I would much have preferred that to the plants-from-plants set which is utterly boring. I like the new candle element. 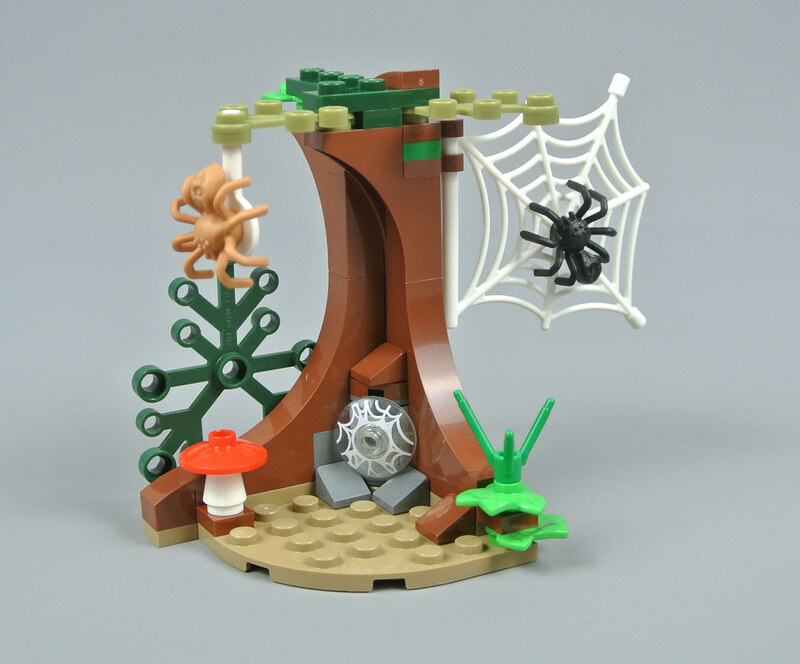 9470 Shelob Attacks from The Lord of the Rings!!! 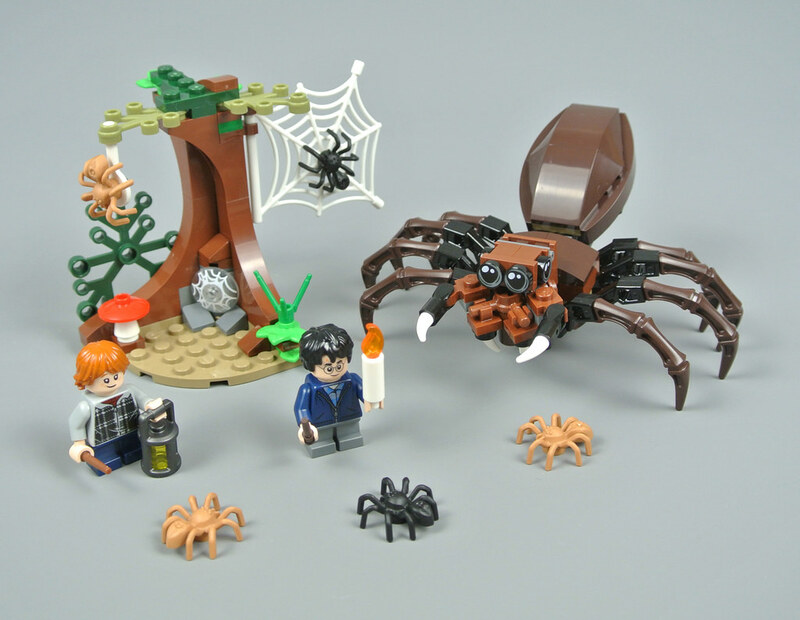 A big spider and 2 minifigures (+ Gollum). So much to love about this set. The spider build is really smart, nice minifigures, lots and lots of little spiders (they could've gotten away with included just one or two). Some new accessories too! Maybe it can't compete with the lustre of the bigger sets, but I'd say for its price this is a terrific set. If only they'd done a couple more sets in the more affordable $20-50 range. It took forever for us to find this, our local Target got 3 of these and 3 Quidditches in the back. All were sold out. We had to order it on the website. Never been a HP fan but found myself picking up 3 collectable minifigs and this set yesterday and am delighted with all of them.